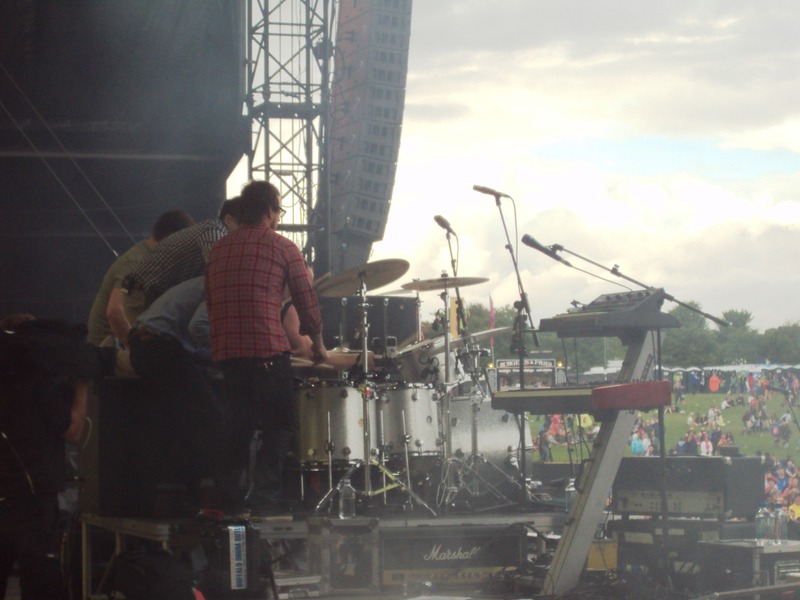 The next day we hit Oxegen, and thanks to Scott’s kindness and generosity we avoided the muddy craziness of the festival crowd and got to watch Weezer from the side of the stage. 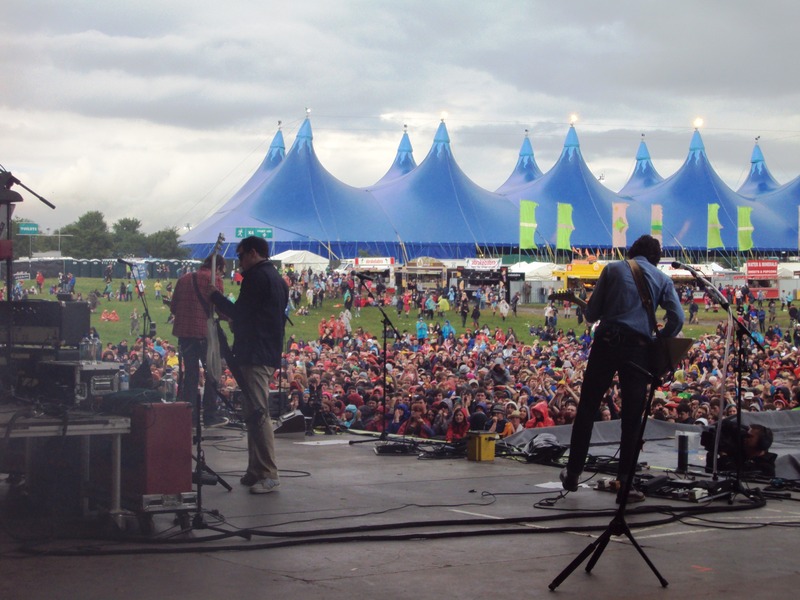 It was an incredible performance featuring some of the band’s classic hits (“Say It Ain’t So,” “Buddy Holly”), newer favourites (“Hash Pipe,” “Beverly Hills”) and even a couple of surprises like a cover of Radiohead’s “Paranoid Android.” At one point in the show I had a major flashback; it was nearly 15 years ago that I first met the band – things were so different then, for all of us. 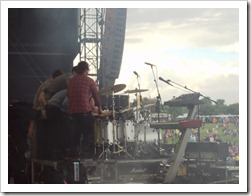 And now, seeing them in Ireland with MM and this whole new life…it was strange, but in the best possible way. Funnily enough, Scott is now officially the first LA friend to have met MM – a pretty big deal considering not even my family has laid eyes on him. At least Mountaineering Man’s first review was a good one; the next day Weezer played a festival in England, where my brother-in-law’s band also played, and according to my bro Scott gave MM the thumbs-up – calling him a “stand-up guy.” Though MM just smiled when I told him the news, I think it’s taken the edge off his nerves a bit. Yesterday he said he’s looking forward to the LA trip now more than ever. This dish reminds me of LA summer dinner parties because I first had a version of it at one my sister hosted. 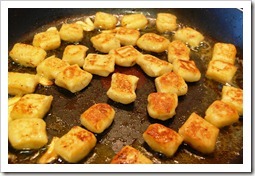 Instead of boiling gnocchi, you pan fry it in a bit of olive oil and butter. 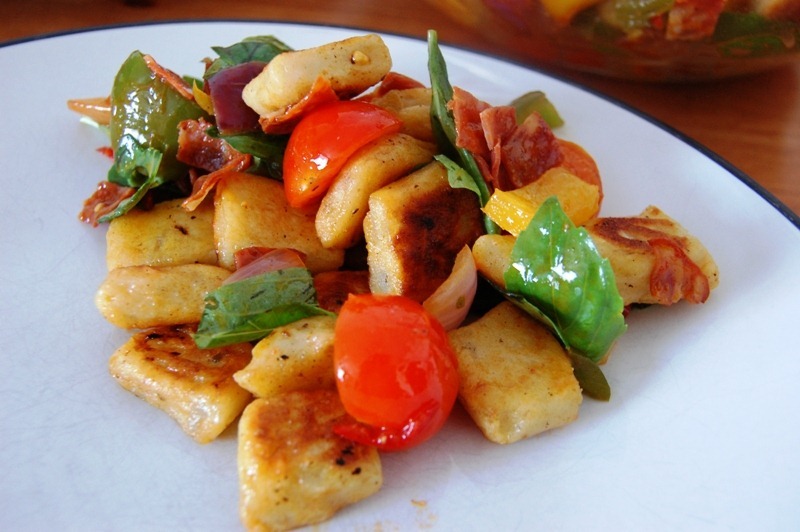 The result is a really crispy, golden-brown gnocchi with a slightly-chewy, most interior. I toss it with vegetables and a bit of chorizo for extra flavour. It’s perfect served at room temperature so you can make it a little ahead of time. 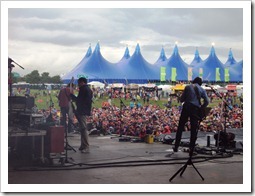 I made this for MM after our Oxegen weekend and he couldn’t get enough! In a large sauté pan, heat up 2 tablespoons of olive oil over medium heat. Add the chorizo and cook for a few minutes. Add in the bell peppers and red onion and cook for about 5 minutes or until they start to soften (but you don’t want them too soft – it’s nice to keep them slightly firm). Remove from heat and add in the cherry tomatoes, tossing all the ingredients together so that all the vegetables and chorizo are mixed together. Season with salt and pepper, and then place into a bowl and set aside. In the same pan, add 2 more tablespoons of olive oil and one teaspoon of butter over medium-high heat. 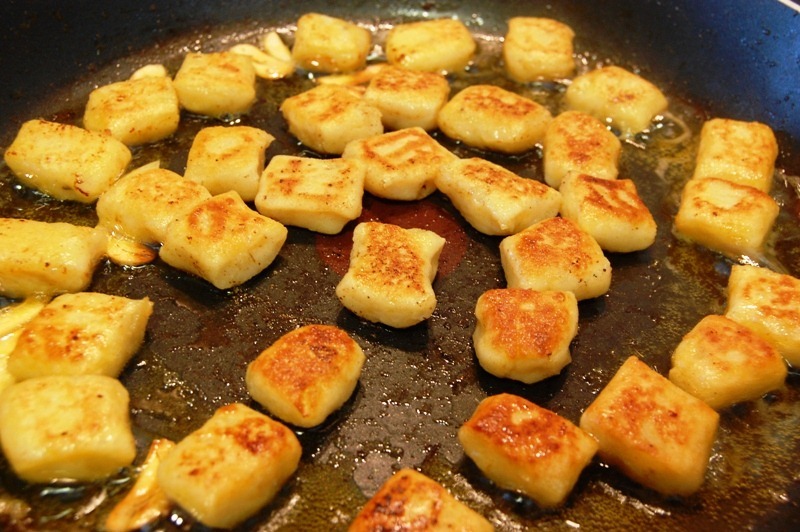 Add the gnocchi in one layer – don’t crowd them as you don’t want to steam these, you want to create a nice, golden exterior crust. As the bottoms start to brown, flip them over (I used chopsticks but a spatula or fork will do) and cook until the other side is brown. Remove with a slotted spoon and place on a plate lined with kitchen roll. You’ll probably need to do another batch (hence the additional olive oil and butter! ), so proceed as you did with the first one. 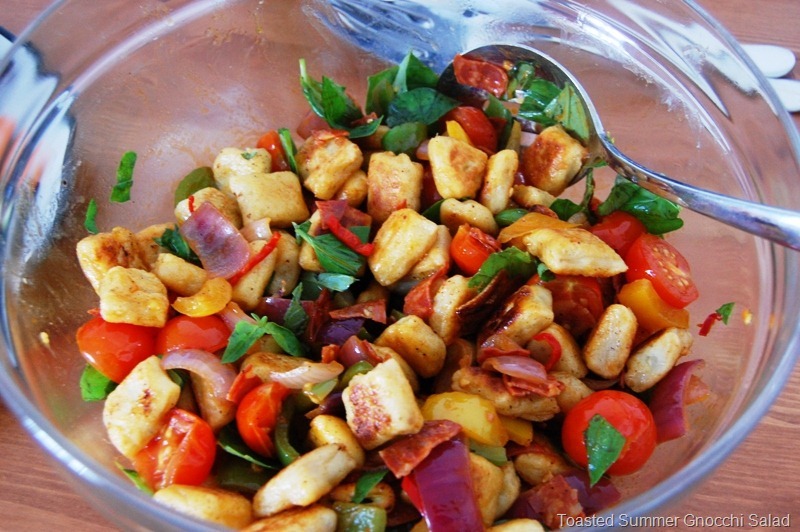 Now you’re ready to assemble the salad: In a large bowl, combine the veg/chorizo mix with the toasted gnocchi. 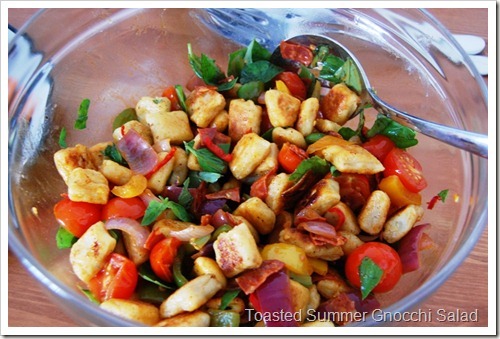 Add in the basil leaves – simply rip them with your fingers and add into the salad. Season with salt and pepper and serve. 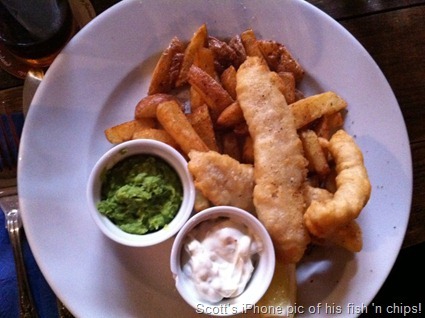 L Mulligan’s tartar sauce – that hit the spot for all the guys I think. 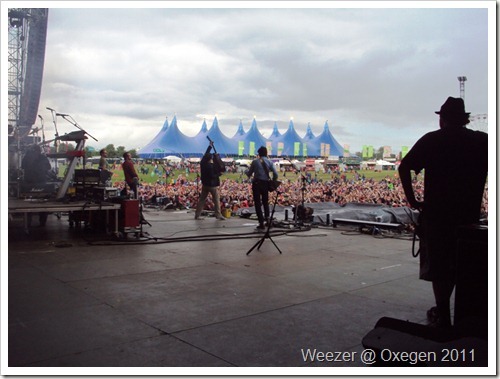 The performance of Say It Ain’t So – Weezer killed it with that one! 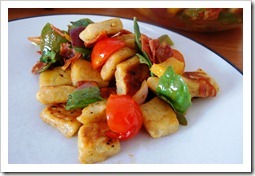 DailySpud: Thanks for providing the recipe for the gnocchi. It was my first time and your directions made it easy, plus they turned out great!! MM: Yes, Scott has to write an article about how he met his wife – the story is just too good not to share! I’m jealous of your MM going to LA with a local. I was there once and felt that the place is so vast and sprawling, only a native Angeleno could help you sort the wheat from the chaff (in terms of restaurants, bars, attractions). OMG that gnocchi recipe looks fantastic. 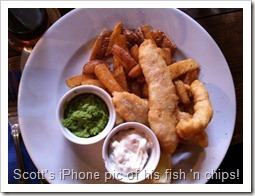 But I have to say that I get a little twinge of envy when I think that Scott hung out with you and met MM before I did! Lisa: Yes I know the market well! They have a few Mexican stalls there, all great! 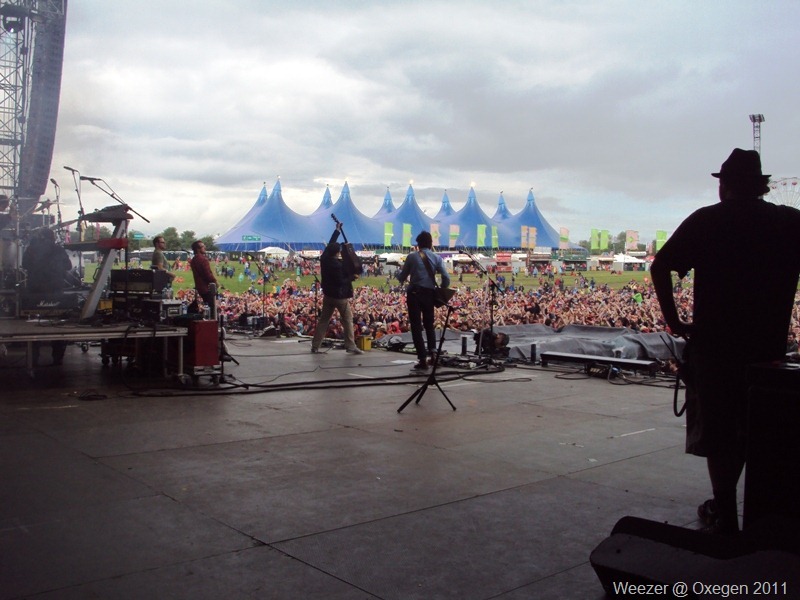 Jillian: Well we will see you in October! 🙂 Will defo have to do a double date with you & Scott. An American in Ireland is powered by	WordPress 4.5.17 and delivered to you in 0.260 seconds using 45 queries.